American Educational Research Association (AERA), founded in 1916, encourages scholarly inquiry related to education and evaluation, disseminating research results and their practical application. 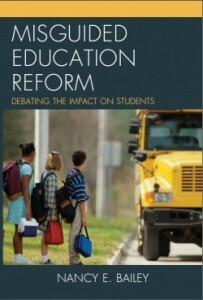 AERA has 25,000 members which include “educators; administrators; directors of research; persons working with testing or evaluation in federal, state and local agencies; counselors; evaluators; graduate students; and behavioral scientists.” The association “strives to advance knowledge about education, to encourage scholarly inquiry related to education, and to promote the use of research to improve education and serve the public good.” I don’t always agree with what they promote, but it is interesting to follow their studies. Bridging Differences from Education Week showcases educator Deborah Meier who professionally blogs about the issues affecting education, students, teachers, and schools. For awhile the series included a vivid debate with Diane Ravitch. Check to see who she is working out critical differences with today! The Center for Media and Democracy (CMD) is a boutique investigative research and reporting group with a demonstrated capacity to break major news stories and highlight the work of advocates. Located in Madison, Wisconsin, it is a national, non-profit watchdog organization, founded in 1993. CMD’s niche is investigating and exposing the undue influence of corporations and front groups on public policy, including PR campaigns, lobbying, and electioneering. CMD’s original reporting helps educate the public and aids grassroots action about policies affecting people’s lives—their rights and the health of our democracy. CMD publishes PRWatch.org, ALECexposed.org, and SourceWatch.org. No Kid Hungry is an organization that addresses hungry children. I know it is corporate and I’m not sure how it is run, but they point out that sixty-two percent of teachers see students in their classrooms who are hungry. Check out this website and see what you think. Perhaps the corporations are doing something good here. Better yet, check on the food banks where you live and help out or send them a check. The U.S. Department of Education has everything you need to know about what is happening today with education whether you agree with it or not. Pay attention! Zinn Education Project is by Howard Zinn, the historian and social activist, who developed the Zinn Education Project—teaching materials and reading material pertaining to education, civil rights, and activism. 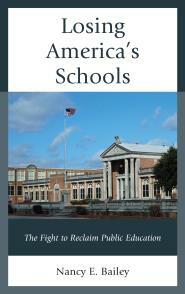 This is a must for anyone in the struggle to keep public education.